2 words: Pizza Palace. 1 word: Addict. Hi. My name is Amy. I'm a Webkinz Addict. Pizza Palace is how I prefer to get my fix. In case you care, I finally passed level 13 andgot to level 14. In case you care. Because there are 20 levels. And a lot of people can't get past 6 or 7. But I did. Not that I'm trying to brag or anything, but I did. Is it really an addiction if you're doing good while you're partaking, though? I'm doing good while I play. Really. I am. I earn my kids KinzCash. Because every child needs 20,000 Kinzcash. I can't stop. I don't want to stop. I LIKE Webkinz. I LOVE Webkinz. I'll be okay. I'm not really addicted. I just like to play. To help my kids. Yeah. That's it! I'm doing it to help my kids. My husband says I need intervention. How could that be possible? If this were a real addiction, wouldn't there be a WebKinz Addicts Anonymous? And there's not. So it can't be an addiction. Then again, maybe one of us addicted moms should start one. That'd be good. I'll do that. Right after I finish this game of Pizza Palace. I love smoothie moves and the cash cow. It's so fun, isn't it? I am a Webkinz Mom Addict as well, my pleasure is also Pizza Palace, i've gotten to level 17, it's a great way to spend a half hour in between picking up the kids from school and can't really start anything else anyway ... here's a tip for you ... when you get to level 16, it's 3 plain 1/4's then about 8 full pizza's with all toppings then 3 1/2 pizza's with two toppings each. There is a real lag in between the 3 plain 1/4's and when the customers come for the full all dressed pizza's so get working on them immediately. It's a fun level. Ta ra must go pick up the kids now. I am also a Pizza Palace Addict,It's gotten so bad that I won't stop to help my child with her homework,I even asked for a Webkinz of my own for my birthday. I find it is very relaxing after a long day at work. 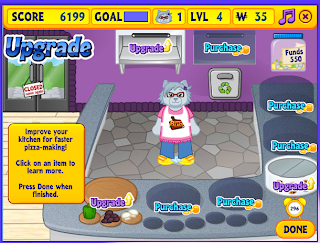 Webkinz is perfect for every mom to have a little alone time, away from all the work being a mom and wife require. Here's to all the moms addicited to Webkinz!!! my favorite quick kinz cash game is Booger Gets an A. You can easily rack up 80 bucks every time u play it. I am totally addicted with it playing with my 4 yr old. We now have 129 of them online and am expecting 1 more in the mail and I just ordered to tees for my 4yr old to wear so we can get the cool outfits you get with the codes. Heck I want the white tee for myself but I didn't order a big enough size. lol An extra large in kids might fit. lol lol Let me get off here and go google it. lol Take care!!! ~Heidi B.
I'm 15, and I'm a freshmen in High School. I don't think I'm addicted to webkinz but I definitely love it! it's such a fun game! I wish more teens played it!